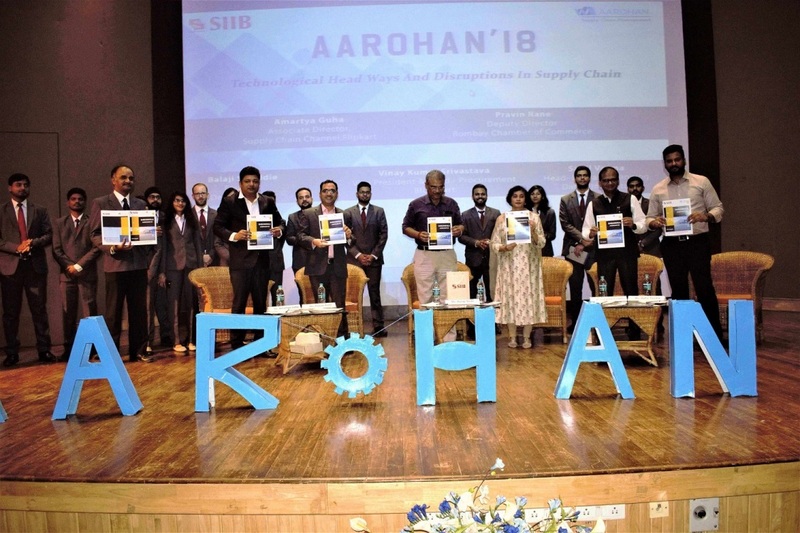 SIIB’s 6 th Annual Supply Chain Management Conclave, Aarohan 2018, was held today with much fervour and enthusiasm. This year’s theme for the conclave was ‘Technological Headways and Disruptions in Supply Chain Management’. Eminent industry stalwarts, Mr. Sahil Verma, Head of Demand Planning at Dabur India; Mr. Pravin Rane, Deputy Director of Bombay Chamber of Commerce & Industry; Mr. Vinay Kumar Srivastava, Head of Procurement at Blue Dart Express Limited; Mr. Amartyaa Guha, Associate Director-Supply Chain for Flipkart; were the keynote speakers for the occasion. The event commenced with the lighting of the lamp and the felicitation of the speakers by our Director, Dr. Asmita Chitnis. 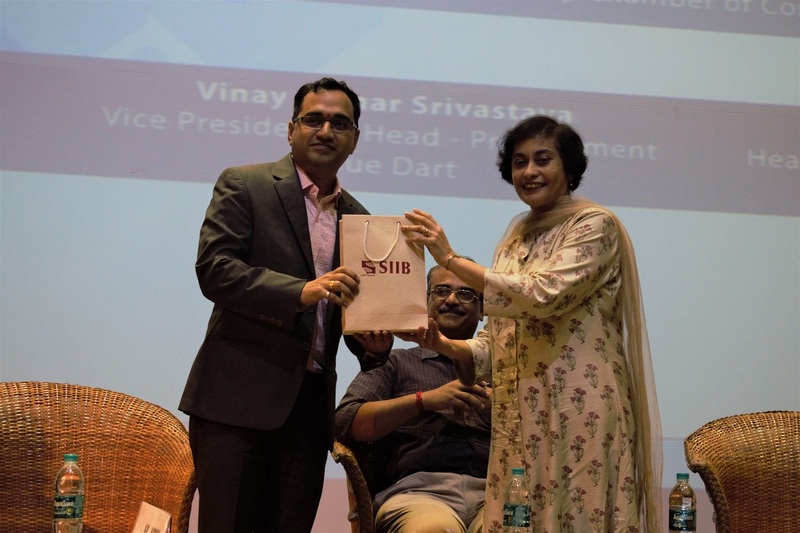 It was followed by the release of this year’s Supply Chain magazine of SIIB, ‘Shrunkhla’. 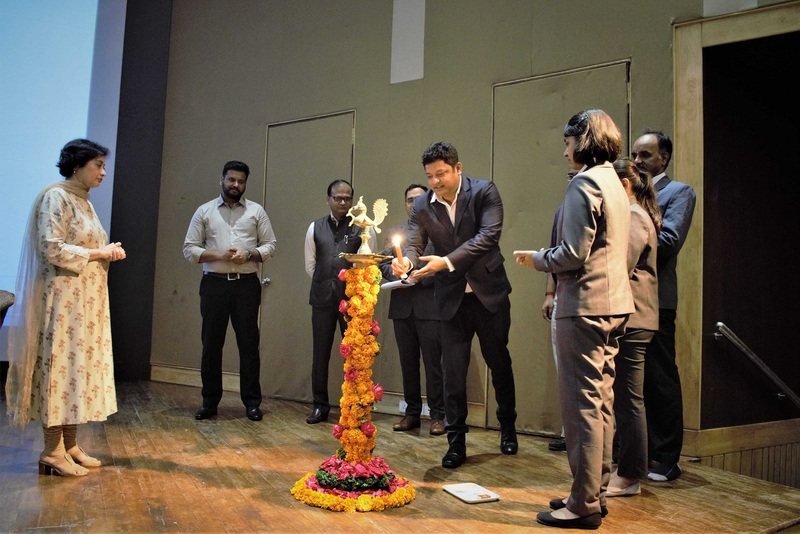 The first speech of the event was by Mr. Sahil Verma, an alumnus of SIIB, who elaborated the processes of Product Planning, Dispatch planning, Demand planning and Supply planning. He explained how the appropriate treatment of sales volumes and variability of products, could help in demand forecasting. The second speaker was Mr. Pravin Rane, who pinpointed the five strategic priorities of Supply Chain Management. He quoted that technology creates more jobs, than it destroys. 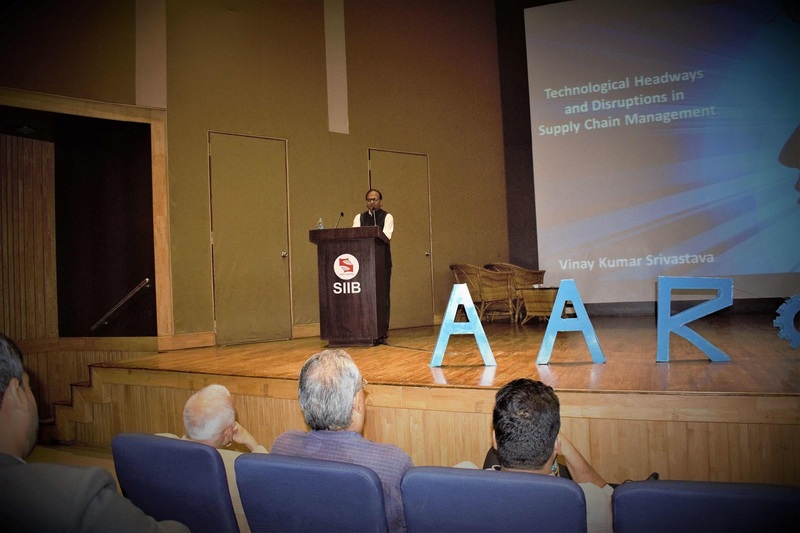 His speech was followed by Mr. Vinay Kumar Srivastava’s, who spoke about the major trends that are affecting Supply Chain. The final speaker was Mr. Amartyaa Guha, also an alumnus of SIIB, who explained the importance of Logistics, as a decision driver, in food retail. He deciphered that India, being a developing nation, forever faces various challenges and consequences due to poor logistics.This enlightening course of lectures was followed by a panel discussion of the speakers, which was convened by the moderator for the event, Mr. Balaji Reddie. It was a knowledgeable session, as the students learnt about future of logistics and retail in India. 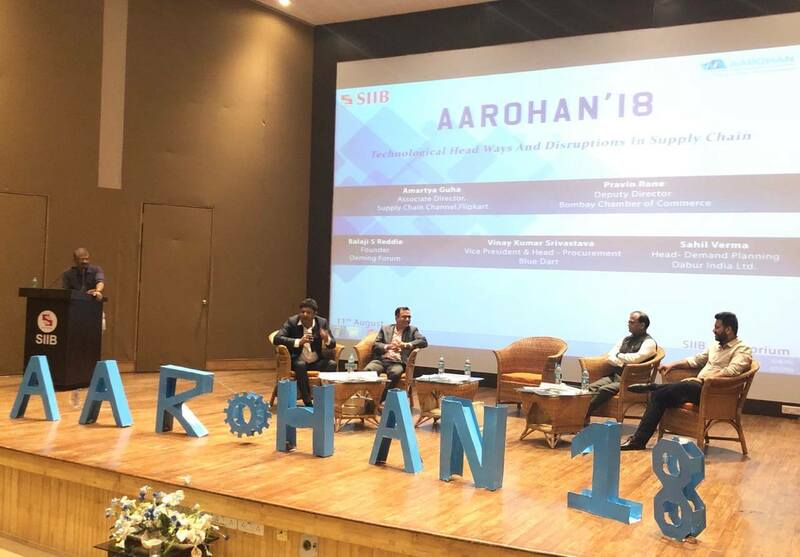 All in all, Aarohan’18 was an amalgamation of industry expertise, academic ardour and lively participation.